As I’ve mentioned in other posts a pronoun is a word that is used to substitute a noun and still keep the original meaning. The pro part of the word means ‘for’ or ‘in the place of’. You can have all sorts of pronouns but we’re only going to look at three kinds here. There are ‘subject’ pronouns that replace the noun that is the ‘subject’ in the sentence or clause. This often helps us to avoid repetition. ‘Mary’ is very pretty. 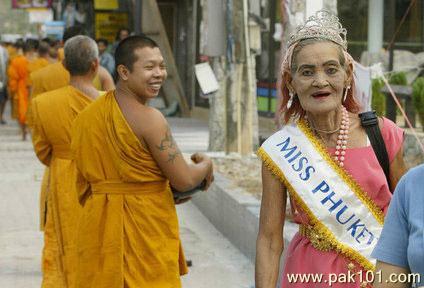 → ‘She’ won the Miss World competition. There are ‘object’ pronouns that replace the noun that is the object in the sentence or clause. Mary has a lovely ‘handbag’. → ‘It’ is made of alligator skin. Below are the English object pronouns – we can use them directly or indirectly. To use them indirectly we can (though we don’t always have to) use certain prepositions like ‘to’, ‘for’ etc. or I gave him the book. ‘Him’ is still the indirect object pronoun. By contrast Spanish has one set of words for the third person direct object pronouns(you, he, she) (lo, la, los, las) and another pair for the third person indirect object pronouns (le, les) so this can make things a little tricky. For that reason it’s important to be able to recognize which object in a sentence or clause is a direct object and which (if any) is an indirect object. Here’s how you do it. Ask yourself what action is taking place – this is your verb. Ask yourself who or what is responsible for that action – this will be your subject. Ask yourself who or what is being verb‐ed? (given, read, borrowed, seen etc) this will be your direct object. Now if there is still more to your sentence perhaps you have an indirect object. To check ask yourself is the direct object being described as ‘to’, ‘for’ or ‘from’ someone or something? That’ll be your indirect object. John gave the book to Mary. Now you do the same exercise on the following sentences. I sent him the letter. I didn’t tell you the truth. We were throwing snowballs at you. Marie-Claire gives Linda Spanish lessons. Linda gives a tie to her husband. Ok now we want to start forming Spanish sentences using the direct and indirect object pronouns. If we use a shared pronoun we can always add a finishing phrase to make our meaning clear. Eg. Le dí un libro. could mean ‘I gave ‘him’, ‘her’ or ‘you’ a book so we could add ‘a él’, ‘a ella’ or ‘a usted’ on the end to avoid any ambiguity. NB This will often seem like an *unnecessary repetition but you must use the indirect object pronoun even if you add the ‘a’ phrase on the end, it is not optional. Let’s practice with that first English sentence we used. John gave the book to Mary. We’ve already established that the book is the direct object and that Mary is the indirect object so let’s insert the indirect object pronoun where we need to, to form a proper Spanish sentence. Juan ‘le’ dio el libro a María. *Lit. John ‘to her’ gave the book to María. Now see if you can translate the following sentences using either a direct object pronoun or an indirect object pronoun as required. I’m giving the book to you (guys). Le doy el libro (a él). Les doy el libro (a ellos). Les doy el libro (a ustedes). Ok now have a go at translating the following Spanish sentences into English. Le mandé la carta (a él). No les dije la verdad (a ellos). Le tirábamos bolas de nieve (a usted). María-Clara le da lecciones de español a Linda. Linda le da una corbata a su marido. Ricardo les enseña las lecciones a ellas.